Keeps players on the edge of their seat! 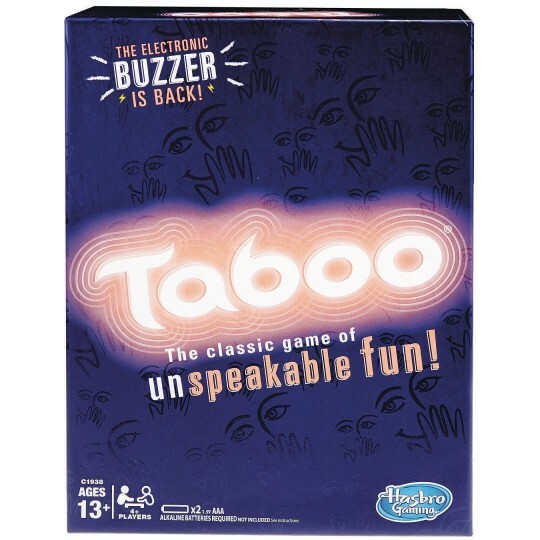 It’s the exciting Taboo® game that keeps players on the edge of their seats! Players try to get teammates to say the Guess word on the card without using any of the Taboo words in the clues. 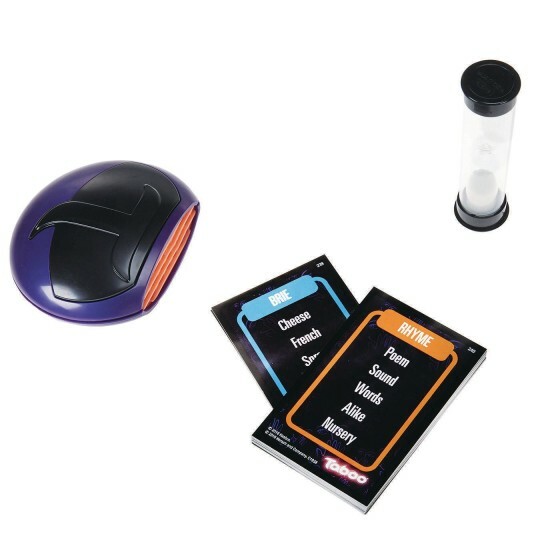 If the describer says a Taboo word listed on the card while giving the clues, they’ll get interrupted with the electronic buzzer and lose a turn. Players keep the cards that were guessed correctly, and the team with the most cards wins the game. With 400 double-sided cards in this Taboo® game, players will have plenty of words to choose from as they race against the clock to give teammates the best descriptions and clues possible. Includes 400 cards, buzzer, timer, and instructions. For 4 or more players.